A highly breathable base layer with minimalistic seams and high-wicking properties. 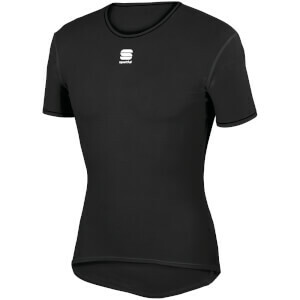 The PBK short sleeve men’s base layer is extremely versatile and suitable for all seasons. High stretch materials and an ergonomic cut ensures the base layer sits close to your skin to aid moisture management and keep you feeling dry throughout your ride. This base layer with sleeves is my go-to shirt in cold days. I bought this for wearing for training on my indoor trainer. 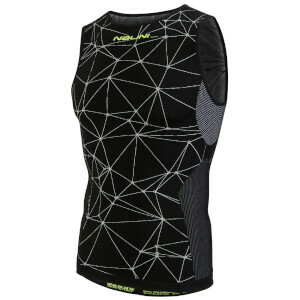 It has incredibly good wicking qualities in a static training environment. 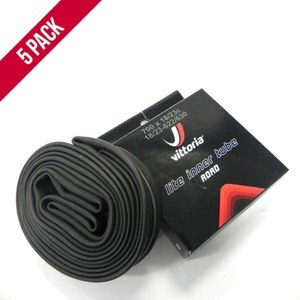 However, it also have very good insulation properties used as a base layer under other garments for winter riding - eg I wore only this under a Castelli Perfetto jacket with ambient temperatures of 5 degrees c on a medium effort 3 hours ride. I'm 81 kg/185cm and a size "large" fits perfectly (close to the body but not too tight). The fabric is quite stretchy. The only seams are for the raglan arms. Well made and very comfortable. I've worn as a base layer directly under a thermal jersey at 13C and been quite comfortable. At 9C I was comfortable with the addition of a long sleeve light weight jersey over the base layer and under the thermal jersey. I can't comment on summer/warm weather use. While the base layer does get damp if one sweats but it doesn't feel clammy. Good value for the price ... recommended.